After we published an updated guide to our pricing, we received many questions about machine translation packages that we offer. To resolve any doubts surrounding this matter and make it clear once and for all, we decided to publish the blog that you are reading right now – the blog about machine translation packages at Text United! 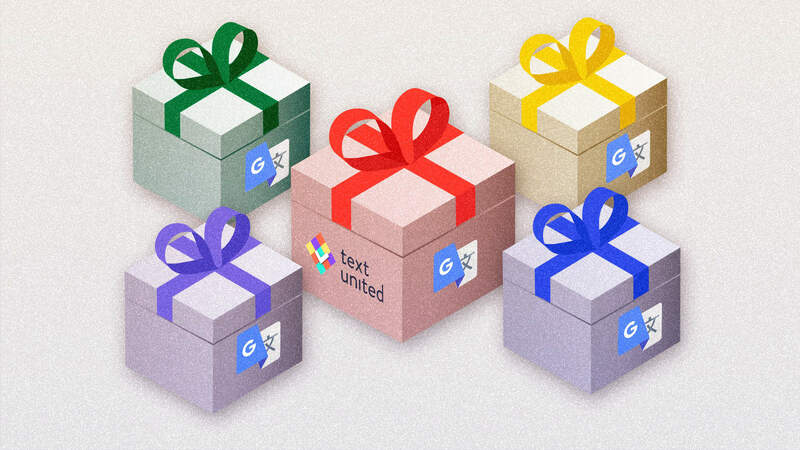 Text United is using the Google Translate engine for machine translation. This means that machine translation quality will always keep improving! This engine is deeply integrated into the system and is providing many possible workflows. Use machine translation on demand: the button in the translation editor enables machine translation of individual segments on demand. Each subscription plan comes with a monthly limit of words. Even with the free plan, there is a certain number of words available, and you don’t have to subscribe in order to take advantage of machine translation. There are three main advantages of machine translation packages. The first one is that if you are on the free plan, you can still take advantage of machine translation without the need to subscribe to Text United. The second one is that you don’t need to subscribe to a more expensive subscription plan if you need a one-time boost in machine translation allowance. The third one is that it’s not necessary to choose a subscription plan with a big MT allowance if you don’t always need additional words for machine translation. Each time you use machine translation to translate files or pre-translate projects, your MT allowance will be reduced by the number of words you have machine-translated. Paid projects that you order from Text United Professional Services are not included in that limit, of course. Machine translation consumption can be monitored on the Machine Translation page. It shows how much words are left in your allowance. This page also contains 5 different packages for an additional increase of your machine translation allowance. Do you have any questions about machine translation at Text United? Are you hesitant to make a decision, not knowing which machine translation package will suit your business best? Or maybe you still don’t know what’s the translation approach you should choose? Feel free to reach out to us – we will gladly answer all your questions and help you choose the best solution for your business!